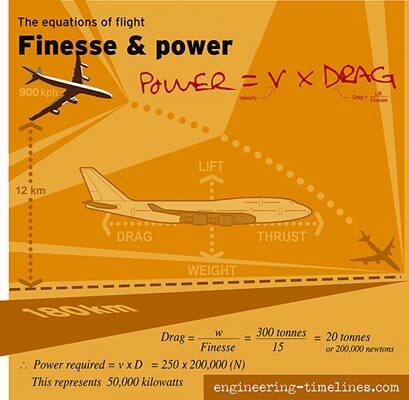 the thrust of the engines is equal to the drag, while the lift is equal to the weight. The ratio of lift to drag is known as the finesse. If the engines were to run out of fuel at a height of 12km, a jumbo jet could rely on its finesse to glide 180km to a landing. How powerful do the engines need to be?